Visit mattformontana.com and jontester.com to volunteer. Other senate candidates include Rick Breckenridge (L). Due to limited space, we can’t include candidates who are polling at less than 15%, but encourage you to check out his stances. To download a printable pdf version of this guide, click here. Tester – Legal. Opposed post-20 week ban. Sponsored bill prohibiting medically unnecessary requirements on abortion services. Campaign Finance: Require political ads to disclose their largest funders? Positon on Citizens United decision, allowing unlimited political donations from corporations & unions? Rosendale – No. Voted against state bill requiring independent groups to reveal how money they contribute to election campaigns is being used & where it’s coming from. Supports Supreme Court’s Citizens United ruling as protecting freedom of speech. Tester – Yes. Introduced Spotlight Act, requiring political nonprofits to disclose donors. “Dark money is a threat to our democracy… I will do everything I can to defend Montanans from this shadowy behavior.” Opposed Citizens United ruling. Climate Change: Consider climate change a critical issue? Rosendale – No. Cut government & return money in tax cuts. Tester – Yes. 2008 stimulus was necessary. Need to invest more in infrastructure. Education: Provide vouchers to send children to private schools with public money? Tester – No. Privatization of public schools feeds destruction of democracy. Rosendale – No. Second Amendment rights are non-negotiable. Mass shootings all involve mental illness & sites where guns have been banned. Healthcare: Support or Repeal Affordable Care Act (ACA), known as Obamacare? Position on Medicaid expansion to subsidize low-income participants? Rosendale – Repeal. “I won’t give up on repealing & replacing Obamacare.” Can replace while keeping affordability & protecting pre-existing conditions with high-risk pools. Voted against MT Medicaid expansion. Tester – Support. Not perfect, but has helped rural hospitals & health centers, provided families with coverage, & stopped big insurance companies from denying folks coverage. Supports Medicaid expansion. Healthcare: Let Planned Parenthood receive public funds for non-abortion health care? Rosendale – No. Praised Trump’s support for defunding. Immigration: Support “DACA” recipients or “Dreamers,” who grew up here after being brought here as children? Earned path to citizenship for other illegal immigrants? Rosendale – No. Opposes DACA & path to citizenship. Rule of law has been ignored & illegal immigrants allowed to flow freely into this country without consequence. 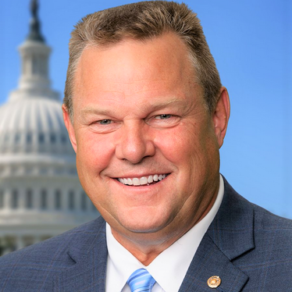 Tester – Rejected 2010 Dream Act. Criticized Trump ending DACA. Supported bipartisan bill with increased border security, visa rule tightening & earned path to citizenship. Iran: Support withdrawal from treaty limiting Iran nuclear capability while lifting sanctions? Tester – No. Supports treaty as “only option” to prevent nuclear weapons development. Rosendale – Supports medical marijuana. State should determine recreational use. Tester – Supports medical use. Feds need to respect vote. Hesitant about full legalization, but alcohol arguably worse. Minimum Wage: Raise the federal minimum wage from $7.25/hr to $10.10 hr? Rosendale – No public statements found. Tester – Willing to work with Trump on specific bills. “I’m glad that the president has signed 16 of my bills into law.” Voted with Trump 38% of time. Renewable Energy: Support government support for renewable energy? Rosendale – No. Renewable power is a “grand idea” but government shouldn’t subsidize. Tester – Yes. Supports tax credits, expedited permitting, utility renewable mandates, & carbon capture credits for coal plants. Social Security: Consider partial or full privatization options? Rosendale – Yes. Let younger Americans invest privately instead of paying in. Tester – No. Opposes any plan to privatize. Student Debt & Financial Aid: Lower student loan rates, while increasing high-earner taxes (Elizabeth Warren bill)? Tester – Yes. Voted for Warren bill. Also supports restoring year-round Pell Grants, & supporting Perkins Loans. Voting Rights: Support stricter voting rules even if they prevent some people from voting? Rosendale – Yes. Voted to repeal same-day voter registration. Require government-issued photo identification to vote. 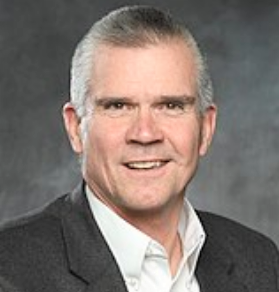 Tester – Unclear on photo ID. Introduced bill to ensure Native American voting access.